Woodworking isn't as hard as you'd think, and sometimes it's not even necessary! So you're tired of the lack of space, the clutter and general untidiness in your home? 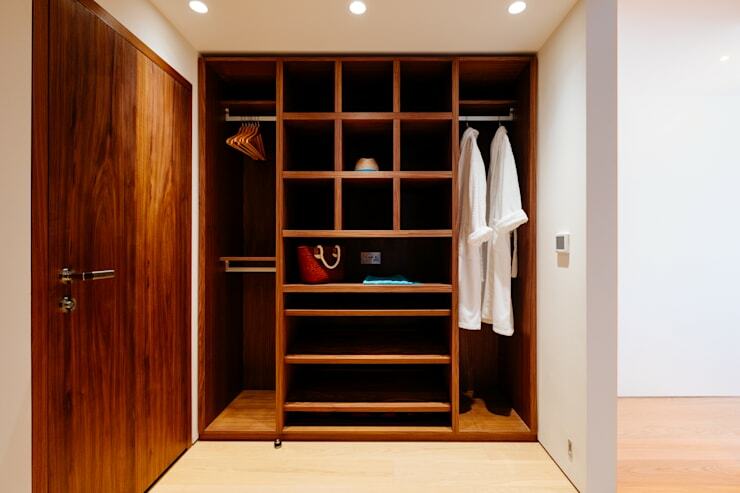 Well, in this edition of homify, we look at 15 fantastic closets that are easy to build and shouldn't take you longer than a weekend. The idea is to have an elegant living space regardless of the size of your home. And these closets and organising hacks will get your interior looking neat and tidy without a fuss. We've included some tips and tricks from interior designers to get your entire home in order. Interested? Then continue reading this Ideabook to be impressed. 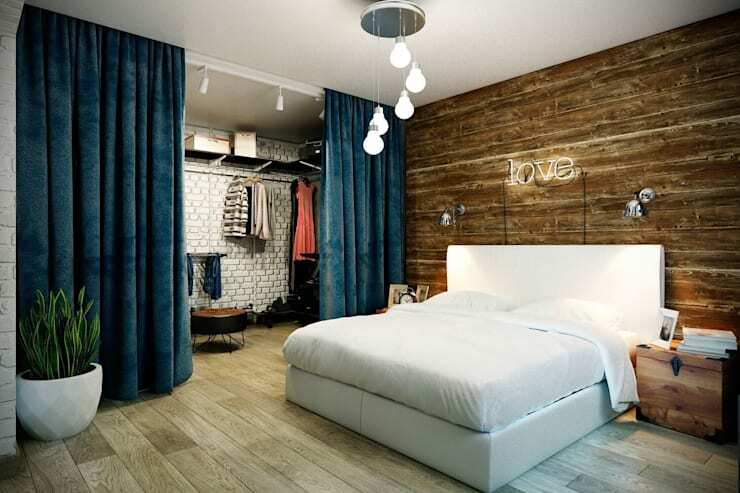 This is indeed one of the simplest ways to hide the clutter in your bedroom. Fix some rails and shelves to your walls for perfect storage and then create a vintage inspired dressing room with gorgeous floor sweeping curtains. 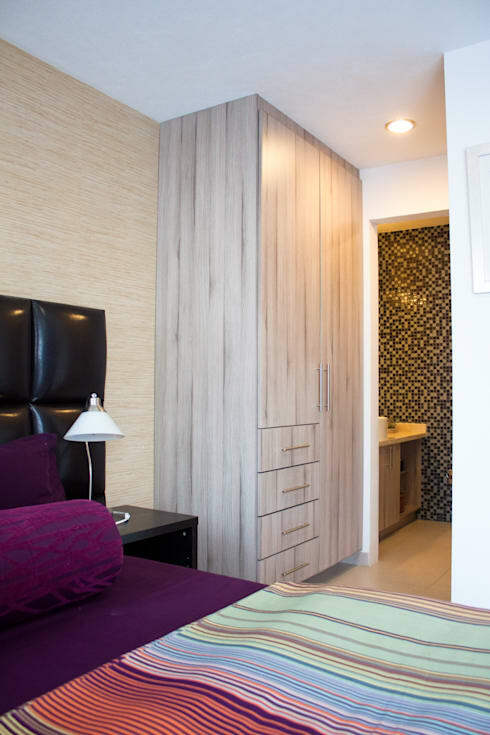 If you have an empty wall in your bedroom that you would like to utilise more efficiently, then add some racks, rails and drawers in various heights. Store everything from coats to shoes in a nifty spot and never be disorganised again. Another easy way to get your closet looking amazing is to add some simple drawers and boxes for storage. This will allow your essentials and accessories to be safely tucked away without crowding up your dressing table. 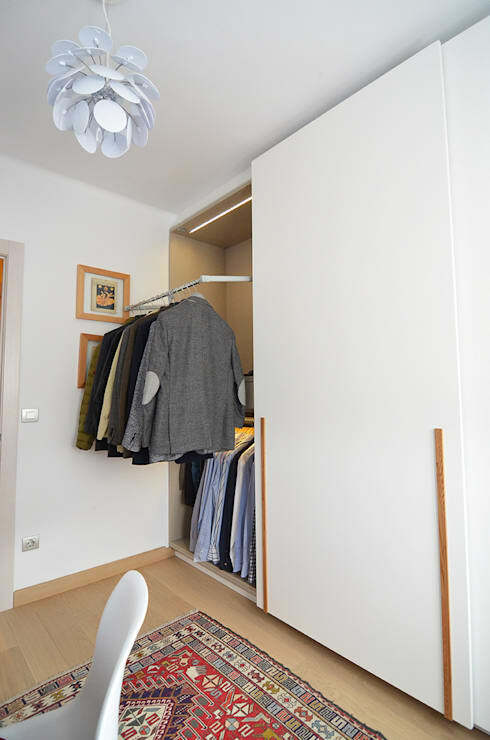 You may have an unused room in your home that will make an amazing storage space for your clothing, how about going for some built-in cupboards to get yourself organised. However, this job may require the assistance of a professional joiner, so bear that in mind. 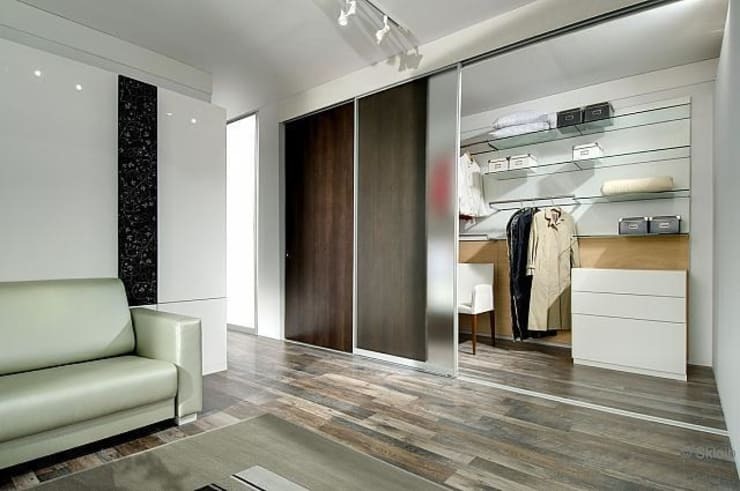 This is another bespoke bedroom closet example that promises to get your home chic and tidy again. Add some boxed shelving and keep your bags perfectly at hand. 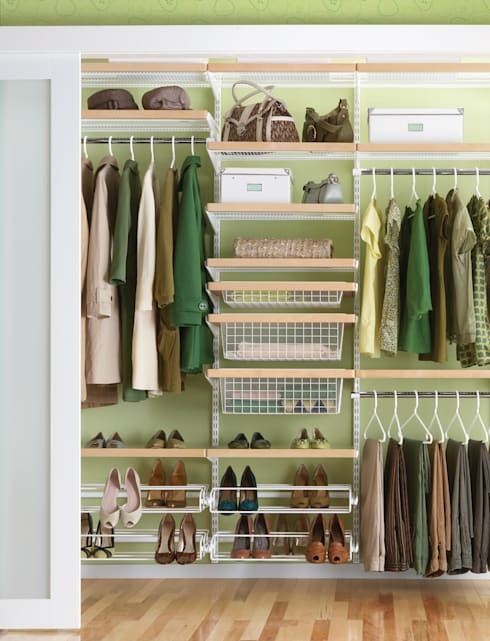 Remember that getting your closet organised, may be as simple as adding a few extra rails for your hangers. These will ensure that your clothing is neatly stored so you won't have to iron them again before wearing. 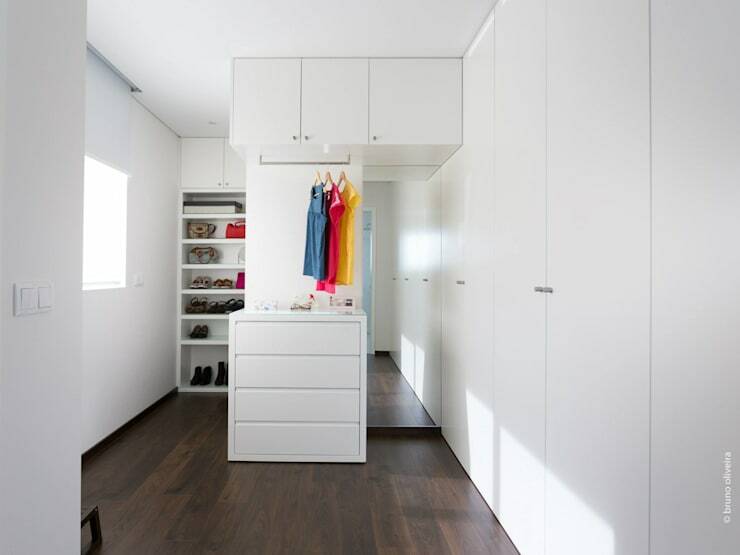 Some simple sliding doors are another great way to separate your bedroom and closet space without being too bulky. A closet doesn't necessarily need doors, go for an open closet design to showcase your sophisticated and stylish taste in clothing. It's a functional and practical idea too. 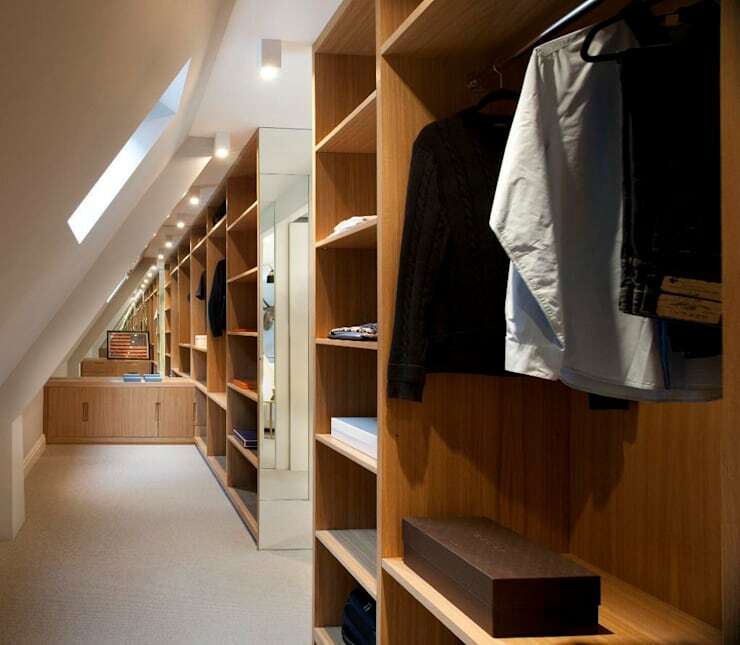 Just because your extra room has a sloped roof, doesn't mean you can't use the space available to make your dream closet. 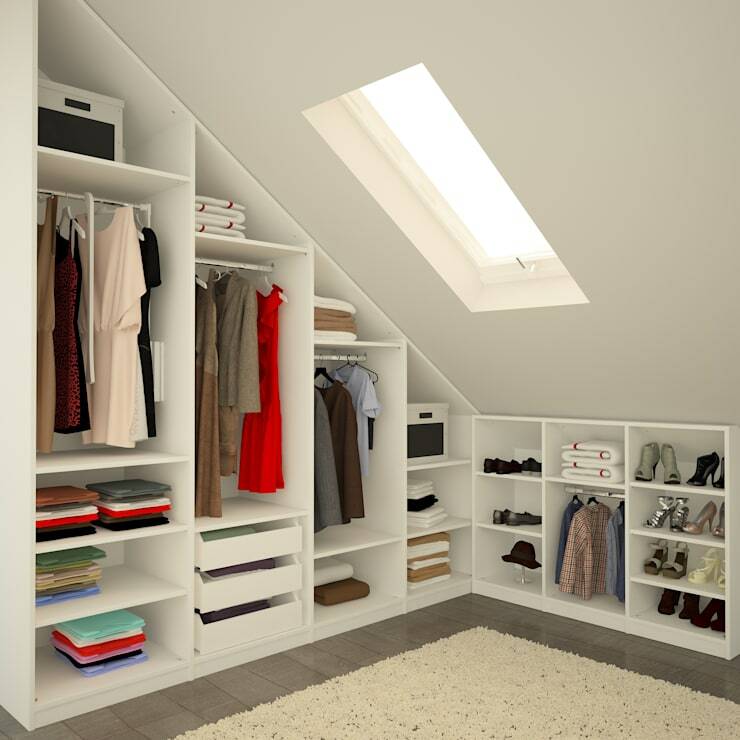 Consider building the closet along the decline of the ceiling and fit your clothing items as and where needed. 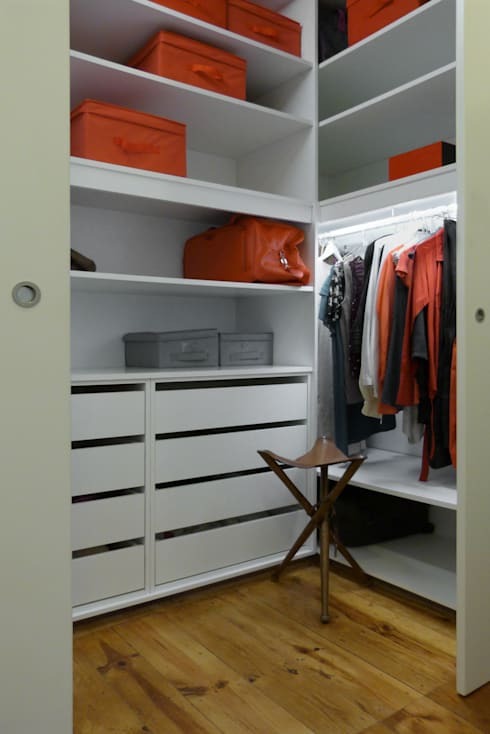 It is imperative to think about what your storage needs are before you begin with your closet revamp plan. A simple shoe rack could be the first way to solve your space problem, and you won't be tripping over those boots anymore. If installing a ready-made cupboard seems like a good weekend project for you and you think it will help with your organising issues, then it may just be the most cost effective way to get your home in great shape. If you need a closet idea for your son's bedroom, then opt for these hanging rails and simple shelves. The design will remain trendy throughout the years, so you won't need to revamp the room any time soon. 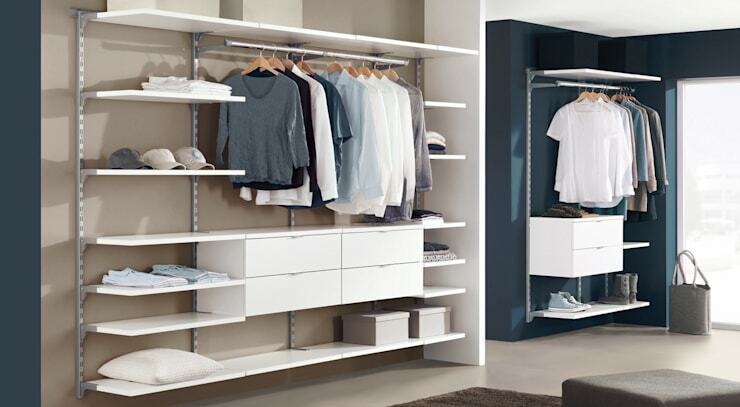 Retractable shelves are an excellent choice for a closet, allowing you to see your clothing more easily and mix and match items for the best outfit. It's also an ideal choice for those shorter people who have trouble reaching to the back of the closet. 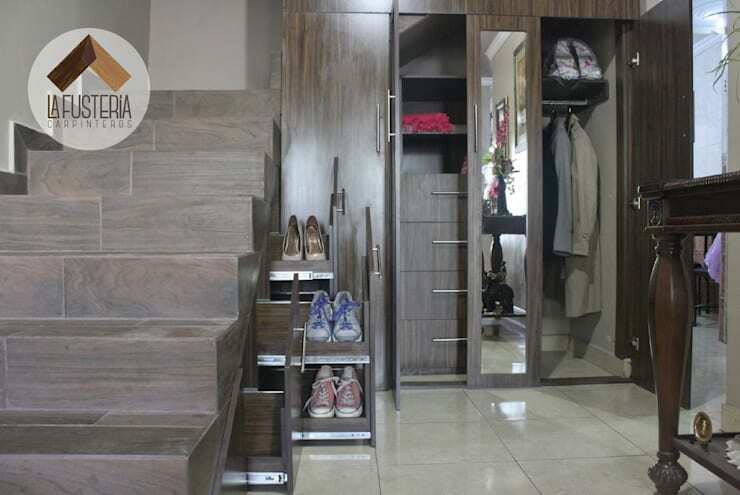 You may have to think out the box to get the most out of your home storage, and this means utilising each and every corner to get your closet in perfect order. We end this Ideabook with a look at a simple wardrobe. This can be made to fit your home, purchased as a DIY piece of furniture or if you are really creative and adventurous, then how about building it yourself? You may need to consider these 25 avoidable small home decorating disasters before you upgrade your interior. Which closet idea are you considering?